Our unique and proprietary methodology/technology for populating and managing websites is making our client's website very successful. WBA is Waikiki Beach Activities served as the beach and pool concessionaire for the Hilton Hawaiian Village Beach Resort since 1989. We offer beach boys, pool attendants, and snorkel instructors; and beach rental equipment, such as beach umbrellas, chairs, and chaise lounges, as well as masks, snorkel sets, fins, air mats, kayaks, boogie and surf boards, and aqua cycles. We also arrange Waikiki sailing tours, surfboard and kayak rentals, and canoe rides and surf lessons; and offers retail products. In addition, the company provides corporate and group beach party activities, such as sand volleyball and badminton tournaments, sand tug-of-wars, canoe racing/rides, beach scrabble and golf, surfing, team building events, volley ball tournaments, kayak races, and rainbow water balloon toss activities; and event planning services to assist in organizing and budgeting beach activities. 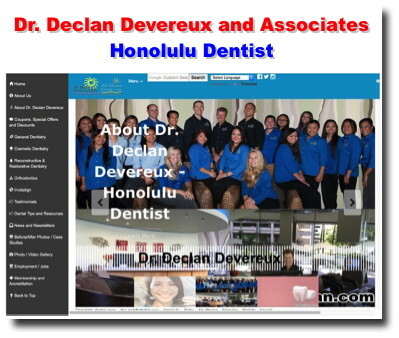 Dr. Declan Devereux and Associates is an successful dental group in Honolulu, Hawaii. This Website is rich with content and features a video library, photo gallery, testimonial system, sweepstakes and demonstrate MBC's new related link technology (** View Video Testimonial ** ). The Kaimuki, Hawaii community is a densely populated, upscale urban neighborhood that has a It has an incredible amount of buying power. 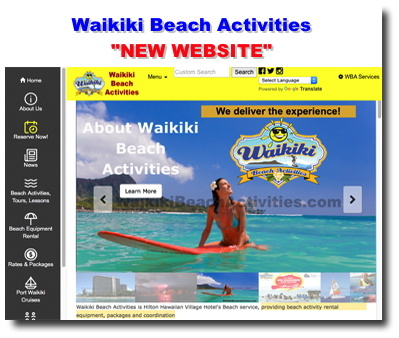 A website for the Waikiki - Honolulu, Hawaii community. Waikiki has over 25,000+ residents who live, work, play, party in Waikiki and it is one of the most popular and frequented neighborhoods in Hawaii. 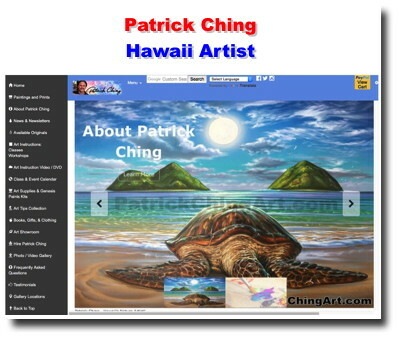 First Friday Hawaii.Com is a Website dedicated to bringing those interested in the First Friday Gallery Walk and related activities. Read details/features about this Website. 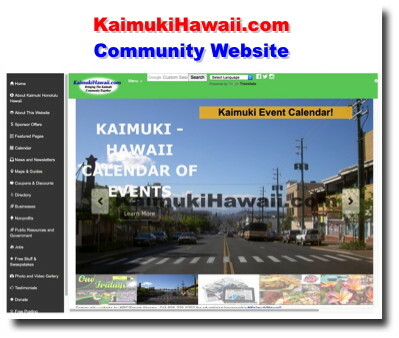 Focus: Community/event based Website extensive business directory, online calendar and news. 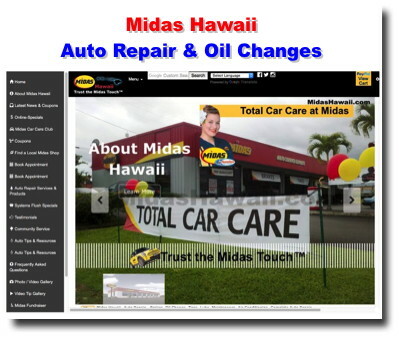 High quality commercial printing and marketing company servicing Hawaii for over 25 Years. Kakaako is a thriving commercial and retail community in Honolulu, Hawaii. 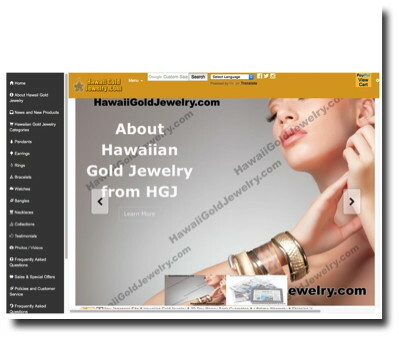 It is situated between Ala Moana (close to Waikiki) and downtown Honolulu near the Honolulu Harbor. Unity House Incorporated is a Hawaii non-profit corporation which has been serving Hawaii's people since 1951. Serving Hawaii Labor Union Community. BeachStand.com provides an easy, fun, and interactive resource to learn about beaches of Hawaii and the world by featuring beach information, safety tips, maps, community events, public resources, businesses, jobs, and much more. 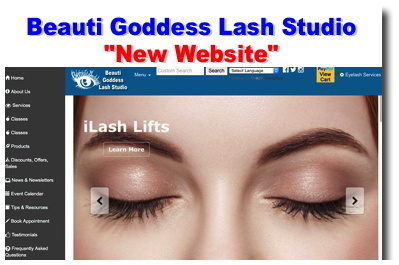 Results Multiple online transactions, appointments - everyday... thousands of dollars. Results: Multiple online sales from all over the United States every week. MacBusiness Consulting (MBC) presented us with a cost-effective websites solution. In just a couple of months, the results are more than what we expected!